Remember when I used to pump out a novel every year for you to snack on? 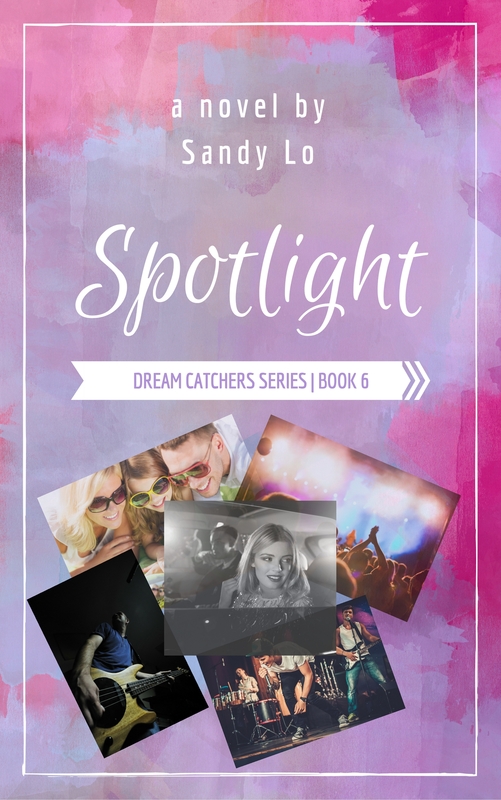 It wasn’t so long ago — my last published novel, “Spotlight“ was just last year. But it feels like a lifetime ago. Plenty has happened in the past year… as always with my life — things change often and fast. Can you even keep up with my whereabouts? Haha, I barely can. Along with a novel a year, I also relocate about every year too! In the past 10 years, I’ve moved more than 10 times!! Some might say I’m searching for something. Others might think I can’t sit still, that I get bored. Or some people think I just love to travel, that I crave change and new experiences. No matter what you think my reasons are for moving so much are, you’re probably right. There’s truth in all of those reasons. Do I have any regrets? None. The ride’s been mostly fun! This leads me to my most recent move… back to New York City, not Staten Island where I was born and raised, but to Queens where I wrote most of “Dream Catchers“. I’m excited to be back here with all of the city living perks and inspiration, but what makes this move more unique than the others is I’m on my own! Can you believe I’ve never lived alone? I’ve always had roommates or lived with family. It’s just Zuko (my bunny rabbit) and me. I have to say I’m loving it!!! What’s awesome is I get to work 100% remotely from home… a real dream come true for me. But of course, city living is at a higher price and without a roommate, all of the expense is on me… so on top of doing administrative work for my brother’s company, writing ad copy for another company, and doing freelance PR work, I needed something that was going to bring in some serious and consistent cash. For those of you who don’t know, a ghostwriter is someone who does the physical writing of a book, article, etc, but doesn’t get the credit for it. All of those celebrity books out there were written by ghostwriters. Many of your favorite authors could very well use ghostwriters and you’d be none the wiser. I know what you’re thinking, why should I let someone else get credit and make money off my work? Well, it’s not entirely my work. The “author” comes up with the plot and usually the gist of the characters and scenes. I simply carry out their vision in thousands of words, adding depth, description, and dialogue to their vision. It’s actually a lot easier and more fun than I ever thought it would be. And I get a nice chunk of change for my efforts! As an indie author, income is hard to come by. It took me years before I saw any kind of money from my novels — most people just steal my books online 🙁 On top of the thieves posting my books for free on the regular, the market is over-saturated and to be honest, promoting yourself is exhausting and gets expensive. I look at ghostwriting as a creative writing class — something I haven’t taken…ever. I get assigned a project. I complete the project. I get constructive feedback on my work! Editors cost tons of money — but I get one critiquing my work for free… better yet, they pay me! I’ve definitely misjudged ghostwriting. As a writer, it’s truly helpful and keeps extra income flowing. It’s definitely more money than I’ve made from journalism or any other writing job I’ve had. Do I consider myself a sellout? Not at all actually. A few years ago, I would have said yes. But ghostwriting is definitely making me a better writer and it gives me a financial cushion. Does this mean I won’t be publishing anything under Sandy Lo anymore? Of course not! I’m still working on my own novels… in fact, the first draft of “Decaf For The Dead” is nearly finished and so is the 7th book in the “Dream Catchers” series. Long story short… I’m in a good place in my life and career. So, if you were worried you hadn’t seen any new books from me or my blogging has been inconsistent — fear not. I’m still here. Still writing. As always, I’m juggling a bunch of different things… but I’m also remembering to take time for a personal life — something I let fall by the wayside more often than not. 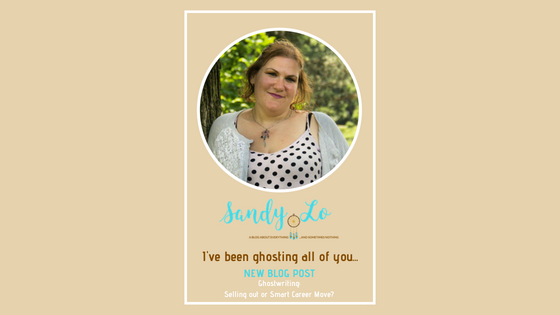 I would love to hear from you… what are your thoughts on ghostwriting? Have you ever done something you thought you’d never do? *For my non-millennial readers: ghosting is when someone cuts off all communication with a friend or someone they’re dating without warning. ← Larger Than Life to appear with Aaron Carter & Lance Bass at PRIDE festival June 8th!